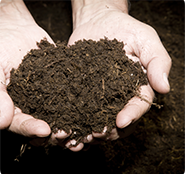 CreekSide Premium Compost with Manure is a ready-to-use natural soil conditioner. Adding compost to your garden helps improve structure and overall health of your soil. For use in the Home, Garden, Greenhouses and Nurseries.